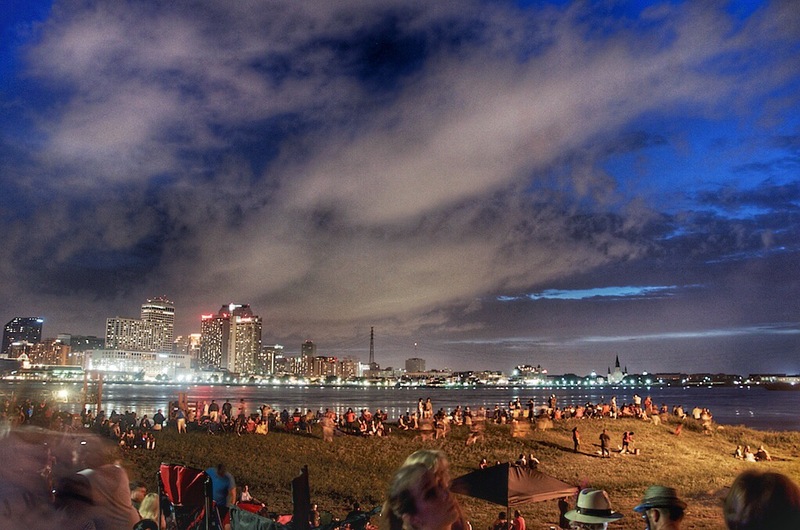 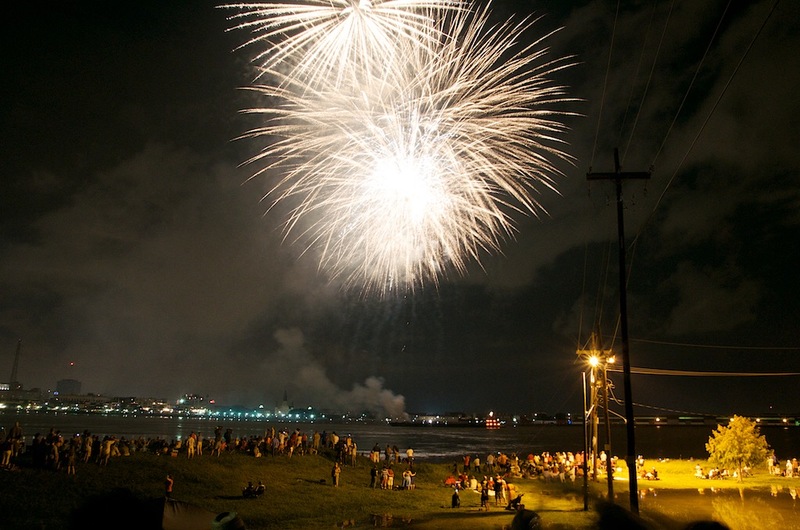 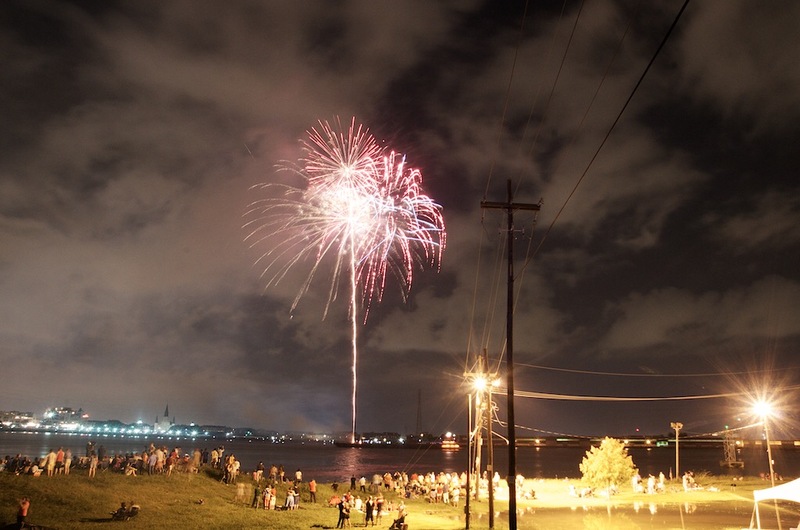 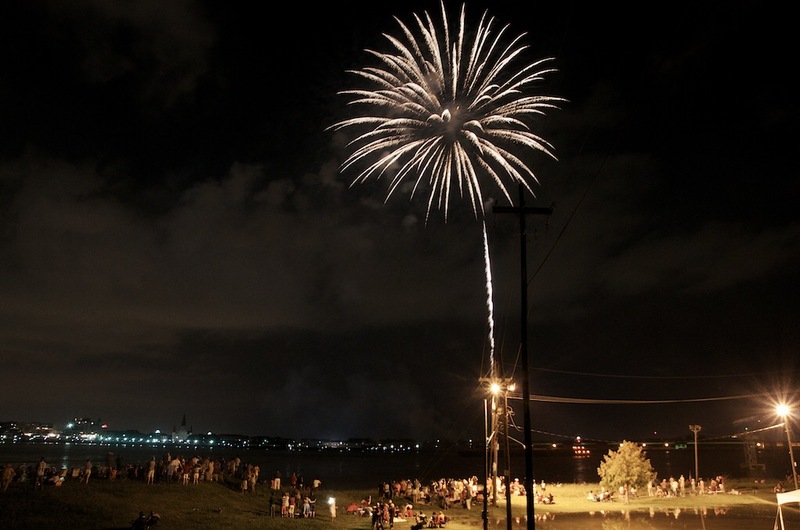 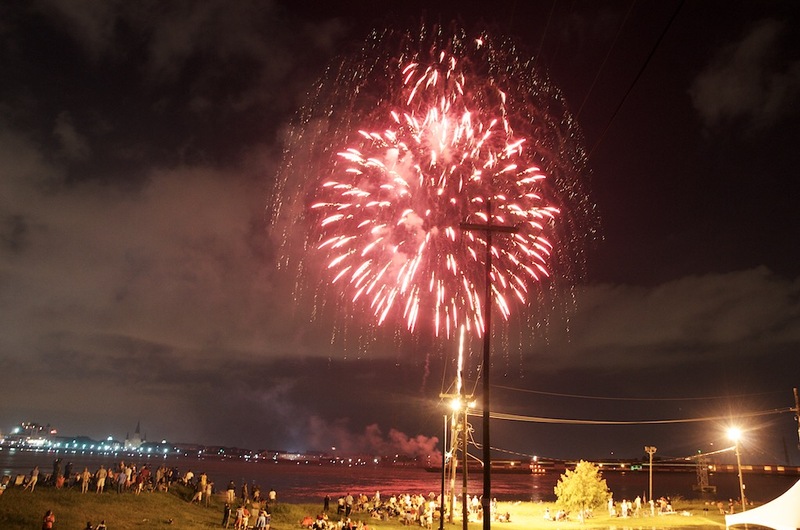 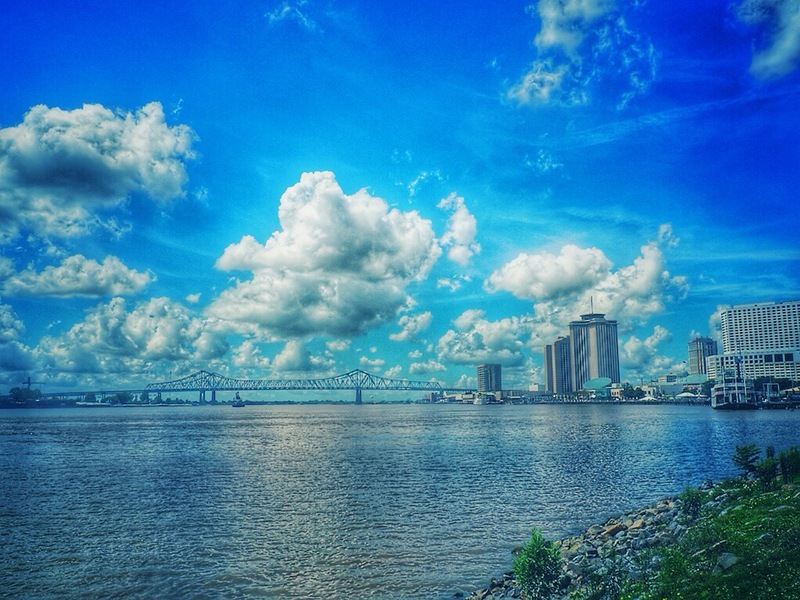 This year, I convicted a friend to go to Algiers Point (historic neighborhood located in the West Bank of the mighty Mississippi, directly across from the French Quarter, New Orleans), and camp out, eat some McClure’s BBQ, drink cheap beer, and enjoy the firework show. 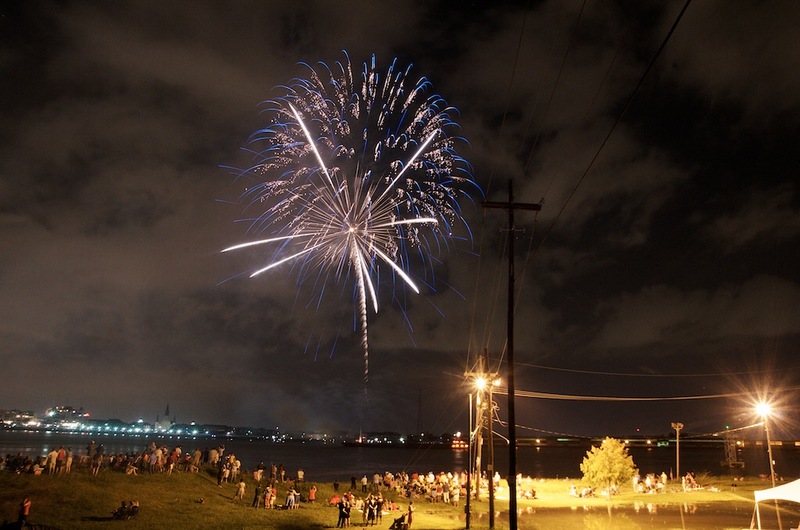 After all, it was my first celebration of independence as an American citizen. 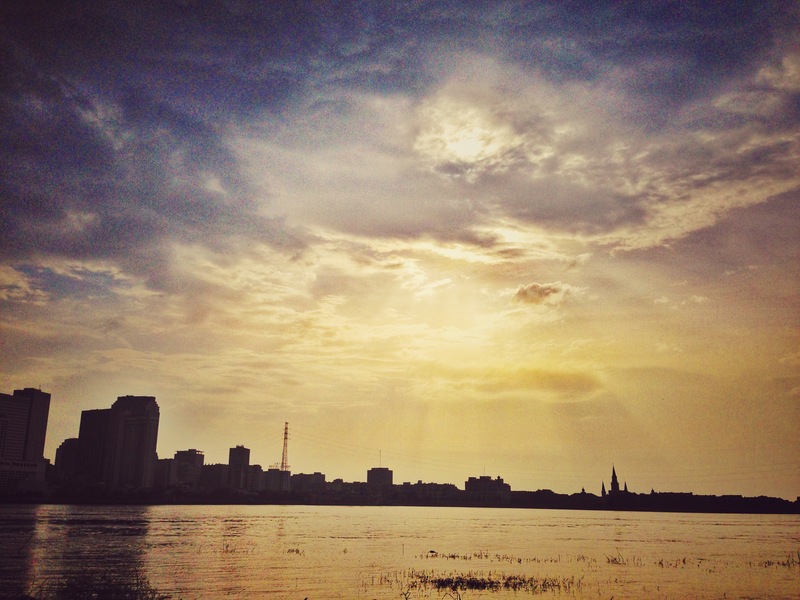 Sunset over New Orleans from Algiers Point. 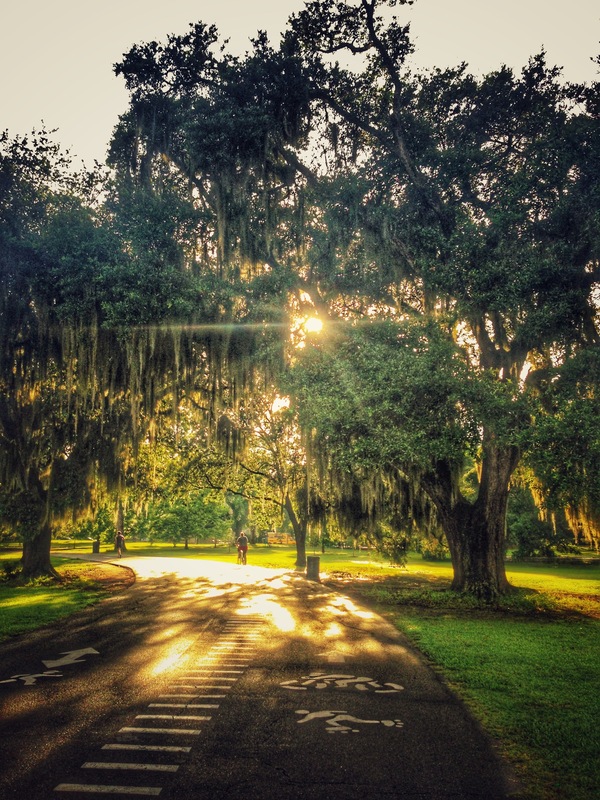 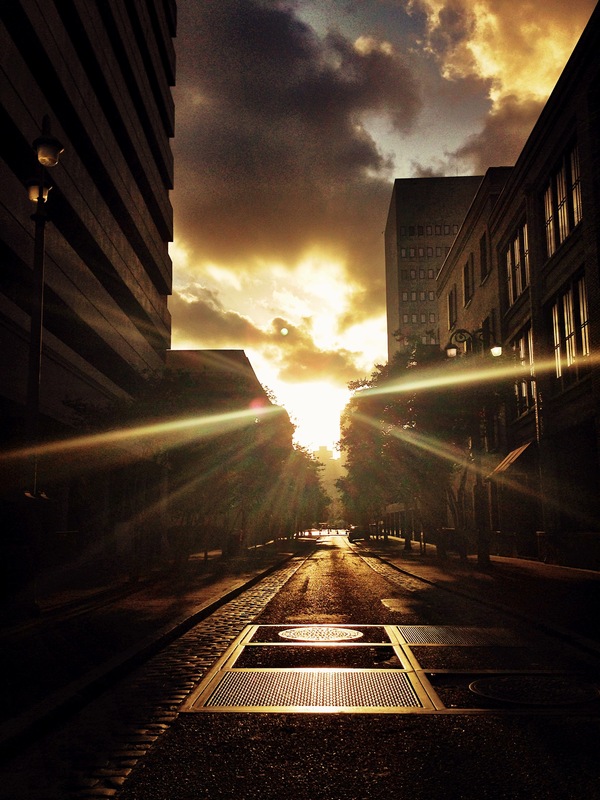 A golden sunset over the warehouse district in New Orleans.